We recently received and email from Sevensquaresolutions that totally infuriated me. It is absolutely amazing the number of scams that are floating around. This one particularly irritated me and has to be the scam of all scams! The site touts itseft as The Official Site of the World Rapture Pet Adoption Network. Where our animal activist are committed to stepping IN when you step UP to take you place in God's Kingdom. They make a firm statement that pets don't go to heaven. Christians that love their pets are targeted for this scam. They state "You know in your heart that you have committed your life to Jesus and know you're saved and bound for heaven. However when the Rapture comes as predicted in the Bible, what's to become of your loving pets that are LEFT BEHIND?" “We are a group of dedicated animal lovers that happen to be atheists. Each Seven Square Solution pet representative is a confirmed atheist, and as such will still be here on Earth after you’ve been accepted into GODS KINGDOM. Our network of animal lovers and activists are committed to step in when you step up to claim the reward that Jesus has promised.” If these atheists are they trying to sell peace of mind for the pet owners of non-atheists, what does that tell you? BINGO…SCAM! “For $125.00 we guarantee that should the Rapture or any Rapture-like occur (sic) within ten (10) years of receipt of payment, one pet per residence will be saved. Each additional pet residing at your residence listed in our contractual agreement will be saved for an additional fee of $25.00.This is a very small price to pay for your peace of mind and spirit when it comes to the health and safety of your four legged and feathered friends as your partake of your place in Paradise. At first, I was sure this was just a stupid hoax site, with the sole intention of mocking pet-owning Christians. But I was truly alarmed to discover under the “Subscribe” link a payment widget, indicating acceptance of credit card and Paypal payments. The saddest part is that more gullible Christians will feel compelled to send them money to ensure posthumous care of their pets. PERHAPS BY EXPOSING SCAMS LIKE THIS WE CAN UNITE AND ELIMINATE THEM FROM EXISTENCE! WOW. As outrageous as it is, one really has to admire what people are able to come up with! 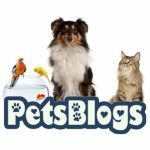 Awesome site, I had not noticed petsblogs.com earlier during my searches! My dad has been writing a book precisely on point with this blog, I have emailed him the web address so maybe he could pick up a couple pointers. Good Job. How is this a scam? None of us can prove or dis-prove a future rapture event. No court of law could ever judge this as a scam. I think it is brilliant. I pay for auto insurance, not knowing whether I will EVER have to use it, but it is worth the cost. If people are irrational enough to believe in a rapture and a second coming (or even first coming) , then they should buy this insurance. The fact that any of you are pissed off at something like this shows doubt in your own minds on the likelihood of such an event. I myself am now going to start up a company offering rapture insurance because I am an Atheist. No skin off my back, unless the rapture actually happens. I am sleeping good at night not worrying about such an event. Lots of insurance companies out there offering flood, auto, fire, etc. Time for some competition on the rapture insurance front. Good luck with your new rapture insurance venture, Michael! We, too, pay for auto insurance, mostly because the states we live in make us have proof of insurance before letting us tear up the roads. However, our church doesn’t make us have proof of rapture insurance before letting us onto the pews. I have been back here 3 times now and am completely loving the energy on this discussion. Thanks for a excellent outlet to read high quality facts. The idiots who believe rapture deserve to be scammed. Look at the positive side; if they thought their pets would be orphaned after they catch the early morning fast shuttle to Pearly Gates, they might even try to send their pets there first. I mean, for a person who’s capable of believing in rapture, putting pets to sleep to be reunited in heaven is but child’s play. As against that, if they believe their pets are gonna be cared for, they may actually desist from doing horrible things to the animals.